“The Joneses” are a family group based in Wheelersburg, Ohio. The group consists of Joy Jones, her son Ryan Jones, and newcomer Daniel Spriggs. Formed in 2012, ministry has always been a passion for the group, and is evident in their performances. Joy began singing with her evangelistic family at the age of 4, as they traveled the United States, Canada, Haiti, Jamaica, and Mexico. Many will remember Joy from her time with the group New Journey, where she was a featured vocalist on many songs, including the group’s first top ten radio single. In 1999 (while with New Journey), Joy was voted “Favorite Soprano of the Year” by the Kentucky Gospel Music Association. Joy’s son Ryan has been singing since a very young age. Not only is Ryan blessed with an amazing voice, he plays piano and also writes songs for the group. Ryan currently attends Ohio Christian University where he is studying to obtain a degree in psychology with a concentration in counseling. He also leads the college’s Chapel Worship Team there on campus. Daniel Spriggs is a wonderful new voice in Southern Gospel music. He brings a very unique sound and approach to the group, along with the ability to play guitar as well. The group is managed by Joy’s husband Tucker, who also serves as their live Sound Tech and driver. Song Garden Music Director Gus Gaches says – We are so happy to welcome The Joneses to our family of Artists! They have such a unique sound and their talent is easily seen in what they do. They approach everything with an amazing level of class and integrity, but most importantly, they love The Lord and have a heart for ministry, which is what sold us on the group. 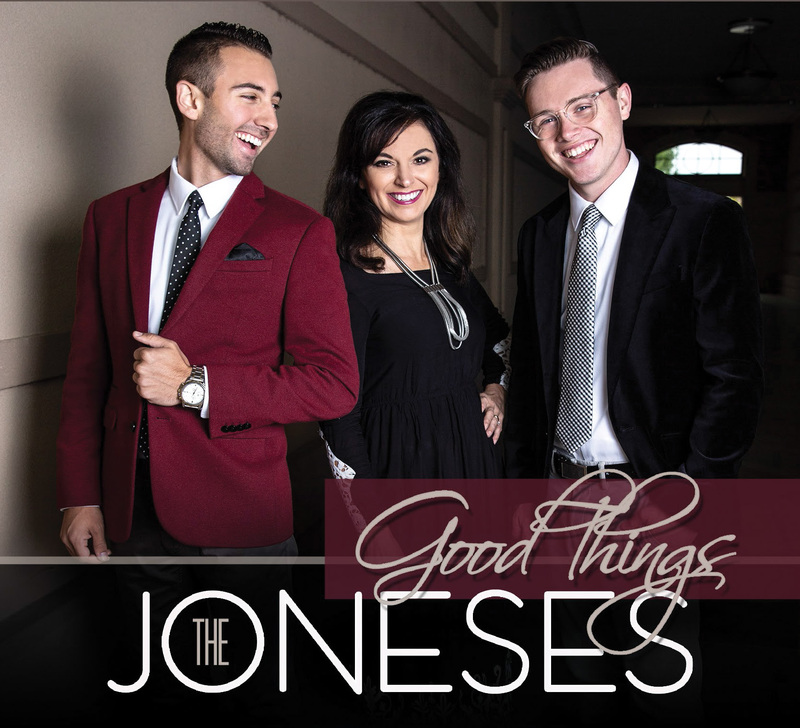 I know folks will love The Joneses and their music!